Two end-of-tour Christmas shows from the songwriting dream-team that is Lail Arad (London) & JF Robitaille (Montreal). JF Robitaille is from Montreal, Canada. Lail Arad is from London, UK. They first sang together on a co-headline tour of Italy in 2016. Excited by the reactions, a collaboration emerged between the two songwriters and snowballed in a way they couldn’t have predicted. Their tours got longer and longer, one single led to another, and a full length album is now in the pipeline for 2019. Working together on both music and lyrics, the two solo artists seem to have met their match. 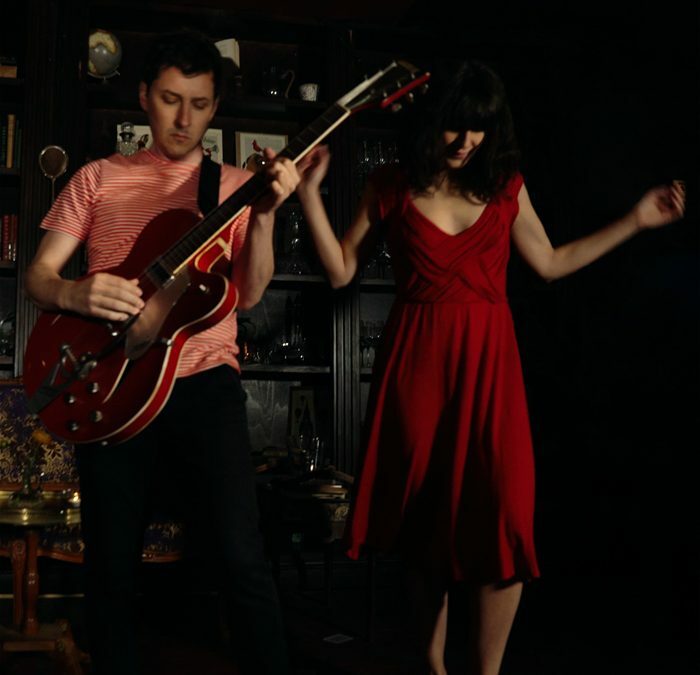 Previous single “The Photograph” was championed by Lauren Laverne, as well as racking up plays from Steve Lamacq, Tom Robinson and the BBC 6 Music Recommends playlist. It was also added to Spotify’s New Music Friday, Outliers and Lo-fi Indie playlists. Their debut duet “We Got It Coming”, produced by Mike Lindsay (Tunng, LUMP) lead to live appearances on Loose Ends (BBC Radio 4), Robert Elms (BBC London) and John Kennedy (Radio X). Their brand new single “Heathrow” — recorded by Adrian Popovich in Canada, and mixed by Mikko Gordon in the UK — is a transatlantic gem. The lyric video was created by superstar artist Javier Mariscal, known for his New Yorker Magazine covers, Barcelona Olympics mascot and Oscar-nominated film Chico & Rita. Lail Arad’s latest solo album “The Onion” (The Vinyl Factory, 2016) received UK radio play from the likes of Lauren Laverne and Jarvis Cocker (BBC 6 Music). Press coverage included The Financial Times, London Evening Standard, Paper Mag and Clash. In 2016 Lail was awarded Women Make Music funding from PRS Foundation. JF Robitaille has long been celebrated as one of the most engaging songwriters in Canada. The single “Missing You” (feat. Julie Doiron) from his 3rd album “Palace Blues” (Sparks/Universal, 2016) reached #4 on the CBC Radio 2 national charts. He’s opened for the likes of St.Vincent, Jonathan Richman and Sean Lennon.